- Floor Stand with ratcheting Self-Locking height adjustment provides working heights from 39 in. to 49 in. Multi pull speed settings,suitable for different racket strings. Precise pounds from 1 to 90. With KG and LB conversion function,convenient for different user. Rotary tool box,convenient to take tools. K-clamp with badminton and tennis dual use,using special materials to contact withracket, no hurting and convenient to string. This system totally overcomes racket deformation problem due to clamp base slipping. This clamp base system has been sold for 3 years, without a return to repair,designated use by many countries buyers. Adopt 5-teeth clamp, suitable for both badminton and tennis,treated with hardening and anti-aging, clip tightly and no slipping. Adjusting with the nut for different strings diameter. 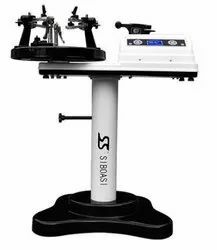 The GAMMA X-STRINGER XLT is a Tabletop Professional stringing machine. 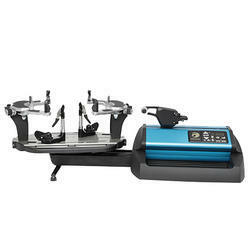 This stringer provides the portability of a tabletop machine with the function and durability associated with a professional machine. Slim profile, all metal, diamond coated string clamps with unique self-locking adjustment knobs hold strings with less clamping pressure for tennis, badminton or squash stringing. Clamp teeth spacing is optimized for all racquet types using Quick Action Swivel Clamp Bases and a 6-Point Quick Mount System with ”V” mounting system to keep the racquet firmly in place. The GAMMA XLT includes a pathfinder awl, straight awl, hex wrenches, bent nose pliers, diagonal cutter and straight pliers. Plus, the smart design of the base features a built-in tool tray to keep stringing tools close. The GAMMA X-STRINGER XLT is a Professional stringing machine. 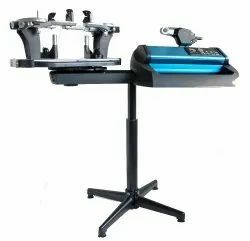 Looking for Electronic Stringing Machine ?